​Your ductwork system is how your home moves hot and cold air throughout the house. Supply ducts bring the conditioned (heated or cooled) air to rooms, while return ducts bring air back to the furnace or air conditioner. Sadly, many homeowners have leaky, inefficient ducts, which force your HVAC system to work longer and harder to get your home to the right temperature. Not only does this waste money and energy, it will make your home uncomfortable. Kingdom can help you solve these problems with our complete ductwork solutions. We will inspect your home to identify problem areas and recommend solutions such as duct sealing, duct repair, and duct insulation. ​Even if your ducts are properly sized, holes or leaks in your ductwork can ruin your HVAC efficiency--sometimes by 30 percent or more! ​While higher ratings are certainly important, the most crucial element of your HVAC system’s efficiency is actually something much simpler–your ducts! Ductwork that is improperly sized or sealed will have serious implications for your system’s overall efficiency. 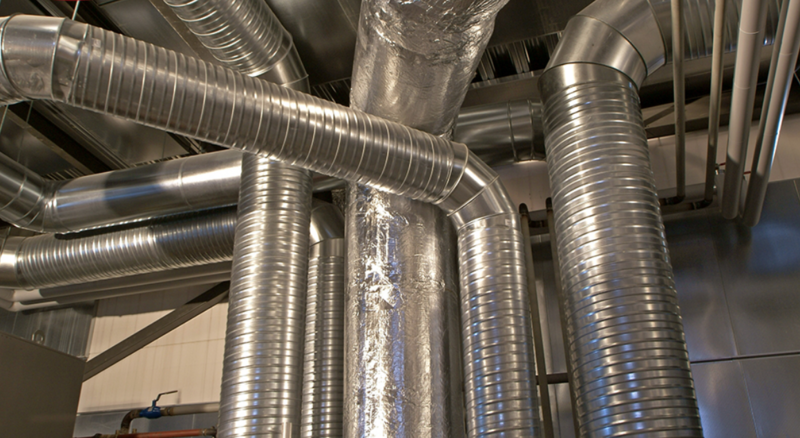 ​We are the Sacramento area’s best duct installation and duct repair companies. We can optimize your ductwork to meet your needs based on your home’s size and layout as well as your HVAC system’s output. Whole house duct diagnosis – We will determine whether your duct system is properly sized for your HVAC system and offer recommendations for how to improve it. This is great if you have certain rooms that stay cold in the winter and hot and stuffy in the summer. Testing ducts for leakage – We can test for duct leakage, even if your ducts are behind drywall!